Since the 2.4.0 release, GIMP has its own printing module. You can set page and image up. 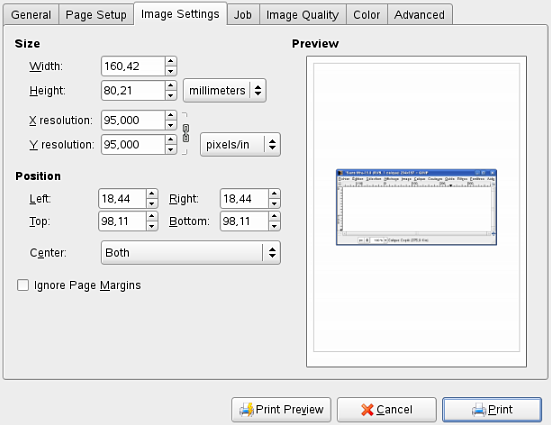 A preview button allows you to verify the result before printing. You can access this command from the image menubar through File → Print, or by using Ctrl+P.